When we completed our St. Patrick's Day Theme preschool week, I tried to include a good helping of Ireland, to go along with the leprechauns and rainbows. 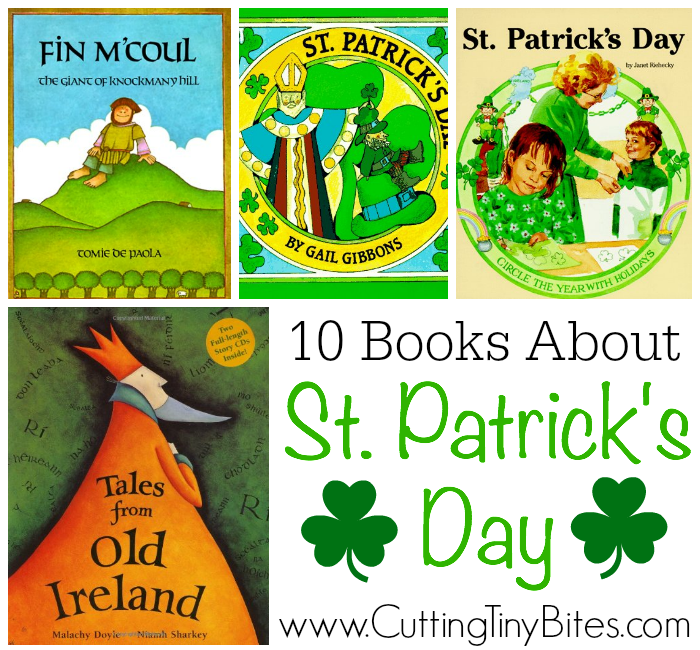 This list of 10 Books About St. Patrick's Day reflects that focus, so you'll find traditional Irish tales and legends, informational books about St. Patrick himself and non-fiction books about the holiday. I hope you find something you like! 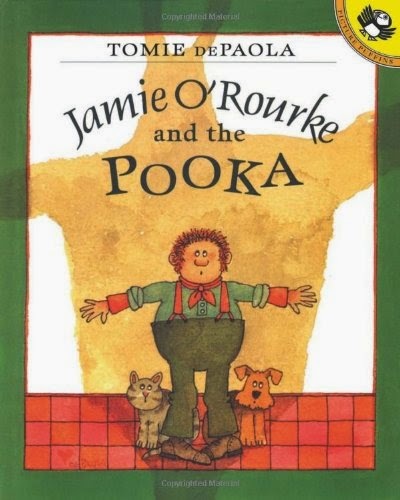 I've never met a Tomie de Paola book I didn't like! 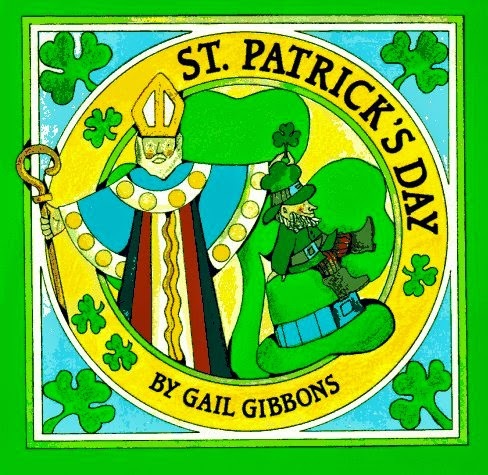 This book tells the actual story of St. Patrick, so that kids will know what it is they are celebrating for St. Patrick's Day! Some of this will go over the heads your preschoolers, but they'll understand parts of it depending on their age. I learned quite a bit from this book myself! 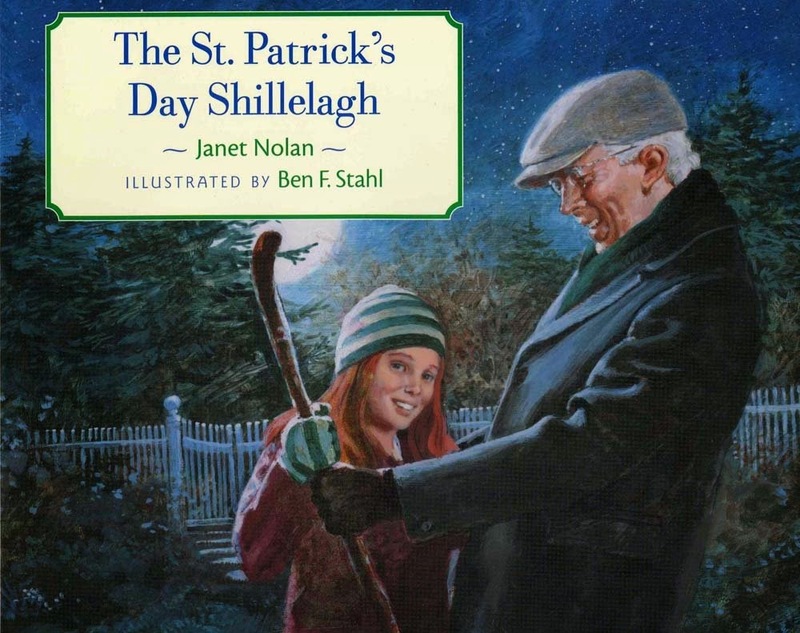 The St. Patrick's Day Shillelagh tells the story of a shillelagh passed down in a family for several generations, having first come over with a young boy during the potato famine. The illustrations are family-focused, and done in a very realistic style. Older preschoolers or elementary aged children will like this book about family and tradition. If you're not familiar with Barefoot Books, then I suggest that you make yourself familiar! They produce high quality children's books with beautiful illustrations. Many of them have a multicultural theme. 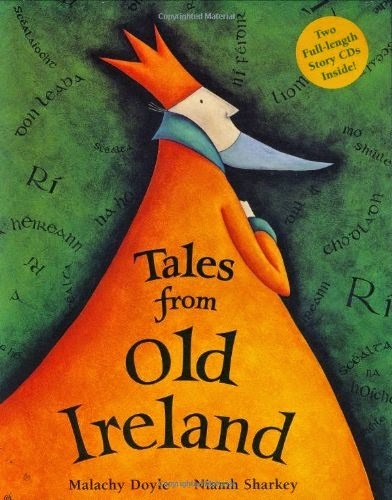 Tales from Old Ireland is a collection of traditional Irish tales. We loved this book and the rich, quirky pictures. Since the stories are fairly long, I recommend it for older preschoolers who have a bit more patience. 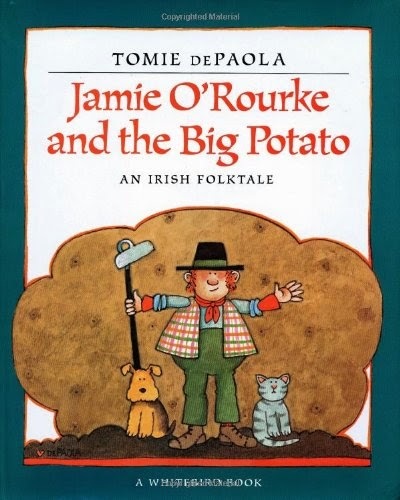 Jamie O'Rourke is the laziest man in Ireland, so he is pleased as punch when a leprechaun gives him a magic potato seed. The potato grows to giant proportions, but of course ends up causing some problems! My kids loved this silly story. Lazy Jamie gets himself into trouble again. When his wife leaves for a week, he ends up relying on a mystical pooka to keep his house tidy after his friends mess it up every evening. This story was just the right amount of spooky for my girls, and they asked to hear it over and over again. Gail Gibbons should be your go-to author for children's non-fiction. 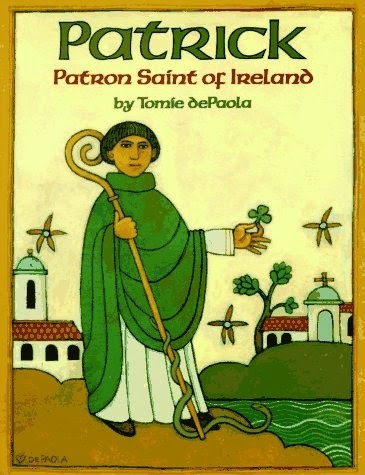 This book about St. Patrick's Day covers the holiday's origins, history, traditions, and legends. It's short and direct, but with vibrant pictures that will keep your childrens' attention. Older toddlers, preschoolers, and elementary aged children will enjoy this book. There's not a great deal of substance to this book, but I included it because we're very in to "Easy Readers" these days. 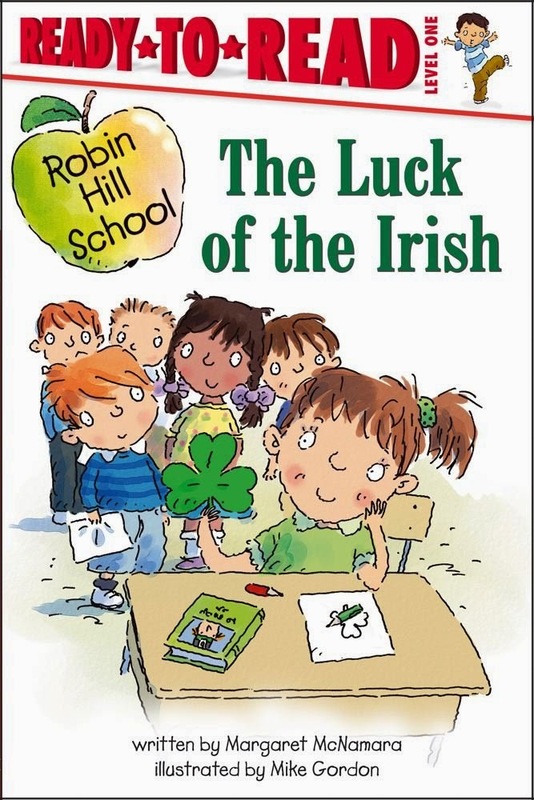 In this book, a class celebrates St. Patrick's day and ends up learning the difference between a shamrock and a clover. Wow! 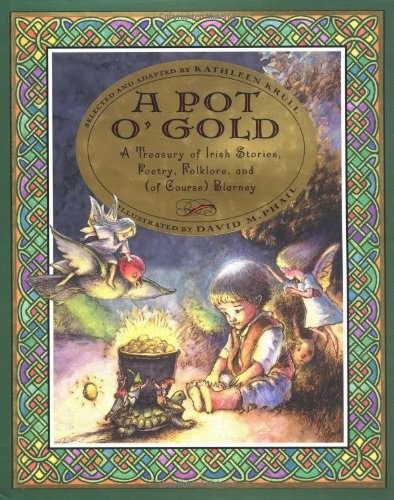 FOUR books by Tomie De Paola on the list-- his Irish heritage has clearly influenced his choice of subjects! 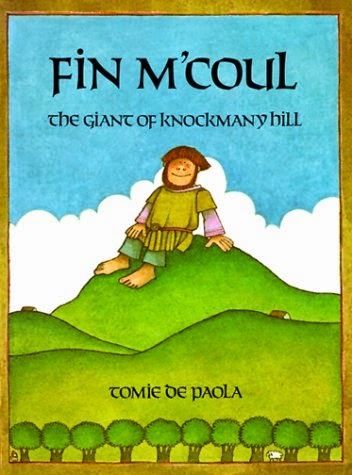 This story is about a legendary Irish giant, called Fin M'Coul who is strong, kind, and wise. In this story, Fin and his wife outsmart a not-so-nice giant who wants to beat him up. It's quite a funny story, and my girls laughed and laughed! This is a great choice for kids of all ages. What a gem of a book! This treasury is jam packed with both short and long selections about Irish folklore, history, legends, poems, and more. There are lovely illustrations and plenty of choices of things to read. Lena loved flipping through and examining the (many) pages. Don't judge a book by its cover-- I wasn't expecting much from this book, but was surprisingly pleased! 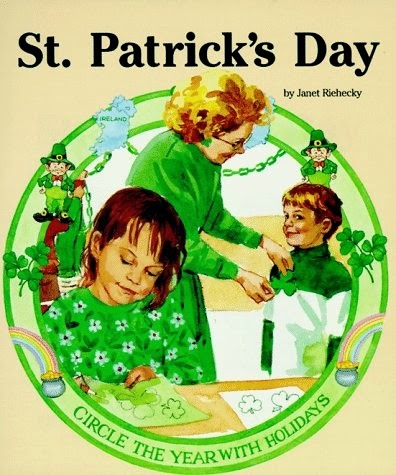 St. Patrick's Day is about a 1st grade classroom's St. Patrick's Day celebration. It nicely weaves a story in with some basic facts and trivia about St. Patrick's Day. It's direct, but entertaining. This is a good choice for toddlers or preschoolers. Eve Bunting is another wonderful author who draws from her Irish heritage for many of her stories. 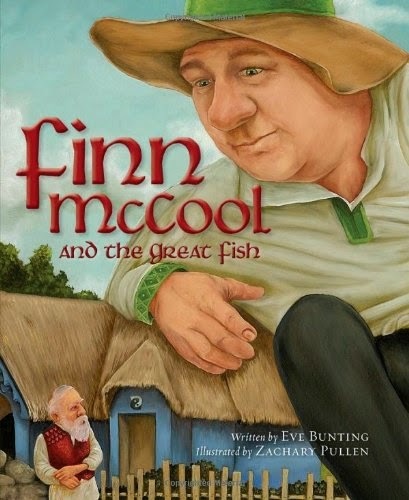 This book tells another story about famed Irish giant Finn McCool. This one is about how Finn gets his wisdom-- by being kind to a smart salmon. It was nice for my girls to see a different depiction of Finn and to hear another story about him! I love the illustrations in this one, too. If you're looking for more great children's book lists, be sure to take a gander at the Cutting Tiny Bites Pinterest board below. Like This? You'll Want To Read These! 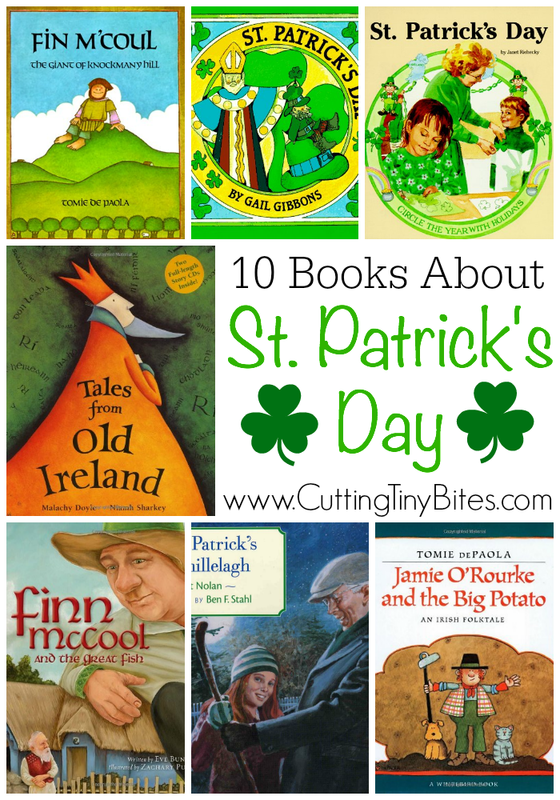 Books About St. Patrick's Day and Ireland for kids. Choices for toddlers, preschoolers, kindergarten, and elementary kids. Brief reviews of each!